A little more than two weeks have passed since I was on vacation in Maine with my family. It was a first time any of us had been in the state and it made a lasting impression. In doing a little post-trip research, I also stumbled upon this article from the University of Maine titled, “The Maine That Never Was.” Shortly after arriving in Maine, my husband and I were plotting out how we could live there. We felt relaxed, unburdened by emails and the Internet (mostly because the 3G signal on the Midcoast was nonexistent – a blessing in disguise). But then we had to step back and think, “What could we possibly do in Maine to make a living?” I also reminded my husband that we should probably consider visiting coastal Maine in the dead of winter before making such a leap. He concurred. The article I linked to above explains that disconnect between what Maine tourists see and experience and what Mainers actually go through year after year. I’ve written a couple pieces and uploaded a few photos from the Maine vacation if you’d like to have a look. For Gadling, I wrote about The Best Lobster Roll in Maine, an article that tells you about a few well-known lobster roll joints but also argues that lobster rolls may be a bit over-rated (especially when the whole lobster costs a lot less). Over on USA Travel site on About, I wrote about A One-Day Tour in Acadia National Park. I’ve also uploaded (but have yet to add descriptions and tags to) more than 500 photos from Maine on Flickr. 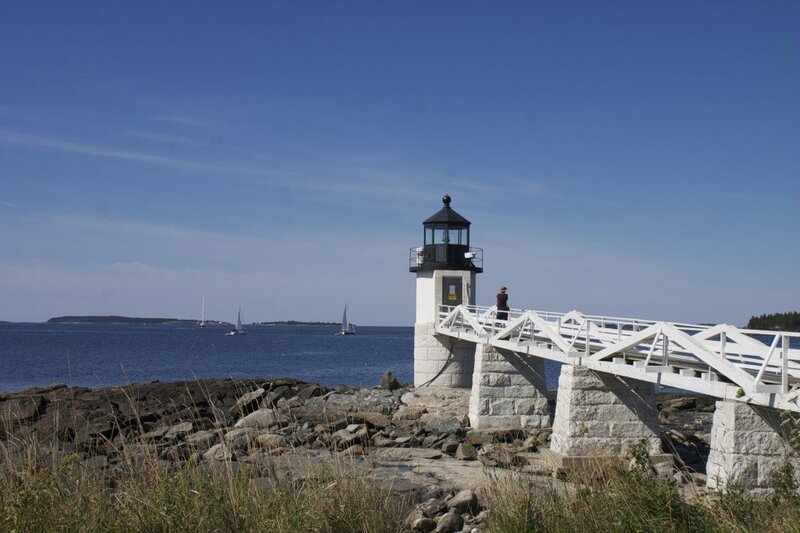 Finally, I’ve also made a short of reading list for travel in Maine. Not (yet) included on the list is Stephen King’s On Writing: A Memoir of the Craft, which is more of King’s personal story to writing and getting published than it is a Maine travel book. But King paints a very real picture of the Maine where he grew up. It is an excellent antidote for the over-romanticization of Maine that you may find in the travel section and it’s a damn fine read for anyone experiencing writers block.